The 16th begins one of the best series of closing holes in the area. A wide fairway awaits most players' tee shots, while longer hitters must play between two large fairway bunkers. Favor the left side for the best angle into the undulating, deep, narrow green. Miss right and you might be forced to chip out or worse, go to your bag for another ball. 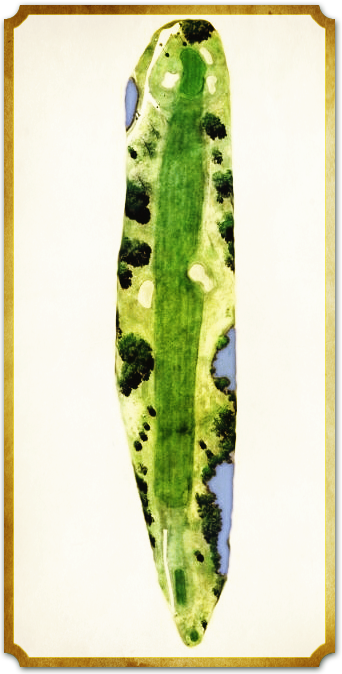 With penal bunkers right and left and a "buried elephant" in the front center of the green, the approach shot must be precise to have a reasonable chance at birdie on this, the least birdied hole on the course.